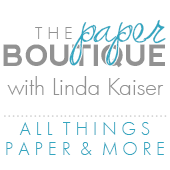 The Paper Boutique: Make it in Minutes Monday! Make it in Minutes Monday! Welcome to another Make it in Minutes Monday… the Mini Series. I thought it would be fun to feature some quick and easy cards that take less than 10 minutes to make, but look like you spent more time making them. I have to admit that today’s project took a little longer than 10 minutes, however, you can make the card in less than 10 minutes. I am a huge fan of Patricia Zapata and her cutting files. She is an amazing artist and I love her designs. 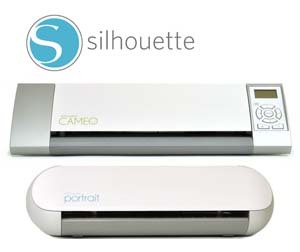 Click here to view her blog and here to view her website. For this adorable project I used her new spring gift card set. This set is so versatile! 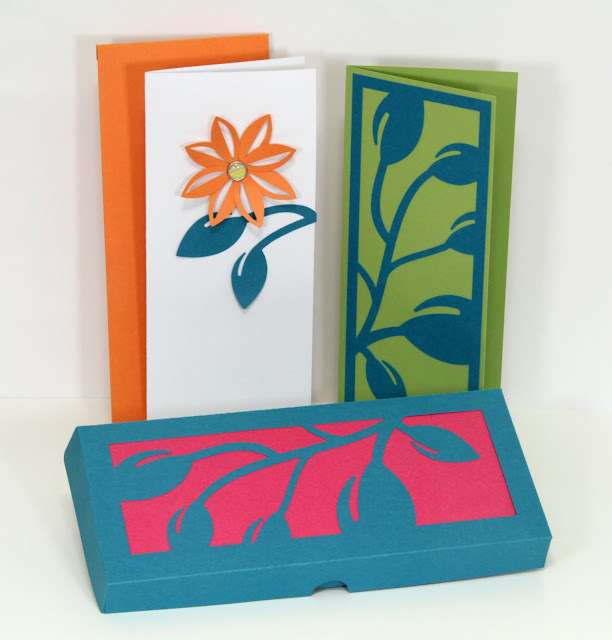 You get a vertical framed sprig or branch design (proportional to fit over the box and on A10 cards), two smaller sprigs, an A10 sized gift box, a box insert for a gift card and a blank gift card, an A10 Card, a #10 envelope and an adorable flower all for $4.99. You can also make individual cards with this set. I love how the blue and green card could be used for any occasion and men will love it too! 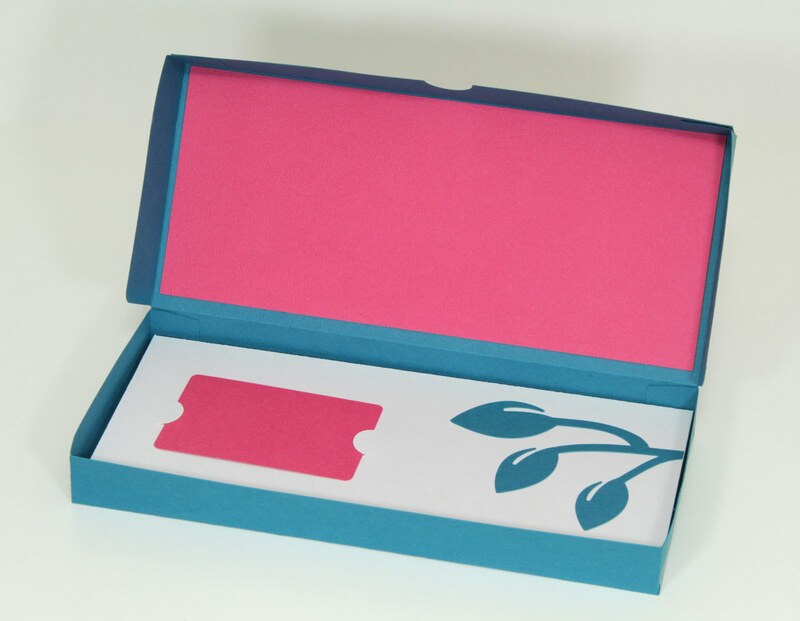 The box has a removable insert that holds a gift card. How clever and what a fun way to give a gift card. 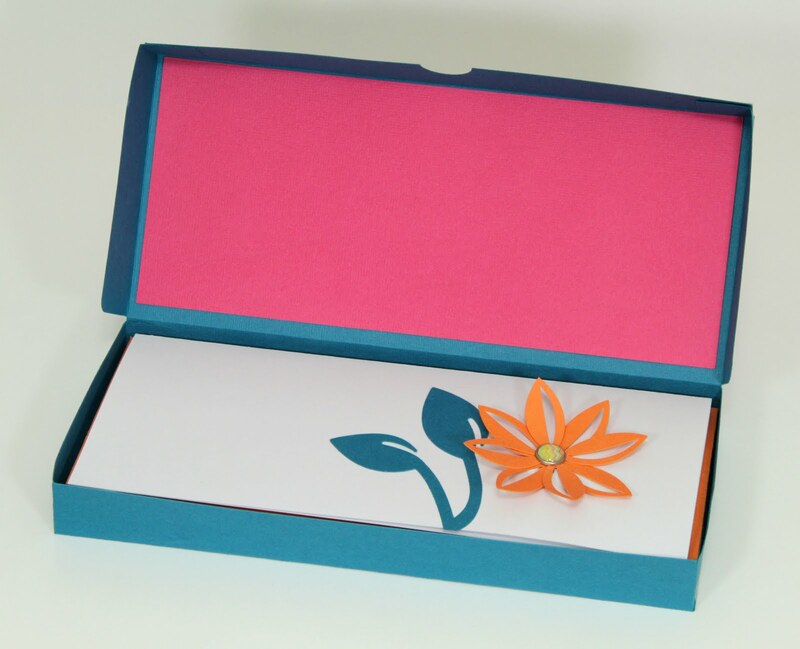 You can remove the insert and then the box can hold cards and matching envelopes for a cute gift. And it is a one piece box. You could even use it for a candy box! Thanks for visiting and stay tuned for an exciting week including a surprise. WOW!! Simple, quick and Beautiful!! Wow, this is really beautiful! What a fun gift to give somebody! 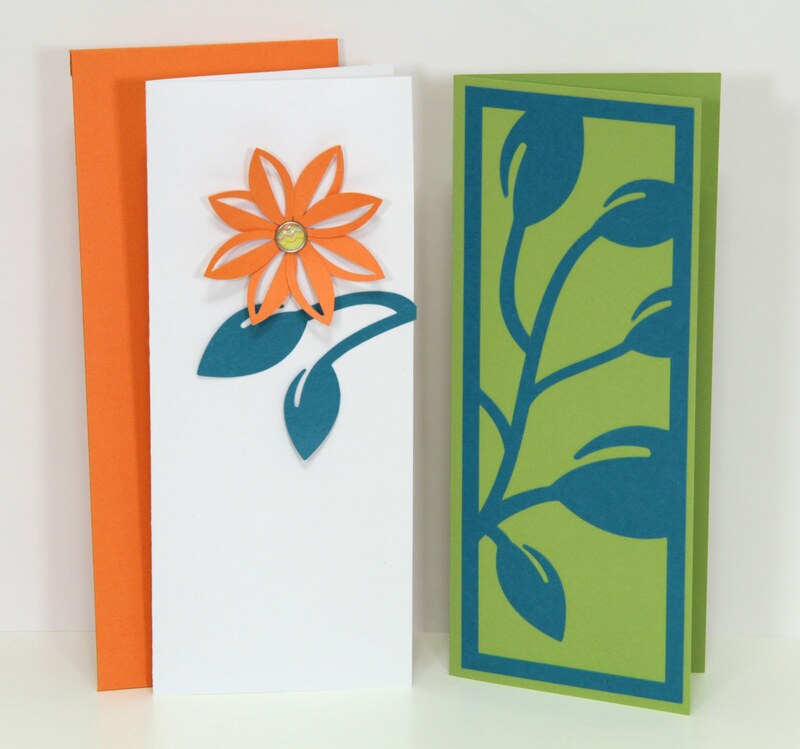 Very pretty and so simple to make! These are pretty awesome! Love the colors!